Since they were invented by IBM in 1998 as an alternative to floppy disks for the legendary ThinkPad notebooks, the flash drive or USB drive has become part of our daily lives. IBM published a disclosure at the time, but did not patent it, contracting instead the Israeli company M-Systems to design and manufacture the USB, which did register the patent, along with a few others related to it. Thinking back, the use of USBs at IE was retrograde: at that time, the school’s technological infrastructure already offered all teachers a directory that could be accessed online to store documents and presentations. However, the USB was seen as an easier, quicker option, regardless of the evident risks. Now, the same company that invented them, IBM, has just banned its employees from using them as part of a policy that many departments had already adopted some time ago. The reasons are obvious: they pose a significant security risk and are hard to control. The “promiscuity” of these gadgets, which can be plugged into any port, means they can not only spread viruses or malicious programs, but are very easy to lose, with the concomitant risk of sensitive information falling into the wrong hands. When we find a USB, the first thing we do is plug it in to check its content (either to erase it and use the drive ourselves, or to find out who it belongs to and return it), and although content can be protected with passwords or encryption, the reality is that very few of us bother to do so. The logical replacement for the USB is the increasingly ubiquitous cloud, which has only become an option relatively recently, thanks to greater bandwidth and easy WiFi connections. In short, the USB is pretty much obsolete, with more potential drawbacks than advantages. Apple’s laptops now come only with USB-C connectors, requiring an adapter. Before long, USBs will be under glass, along with the diskette, a device from the past that might evoke fond memories, but would only be used in cases of dire necessity. 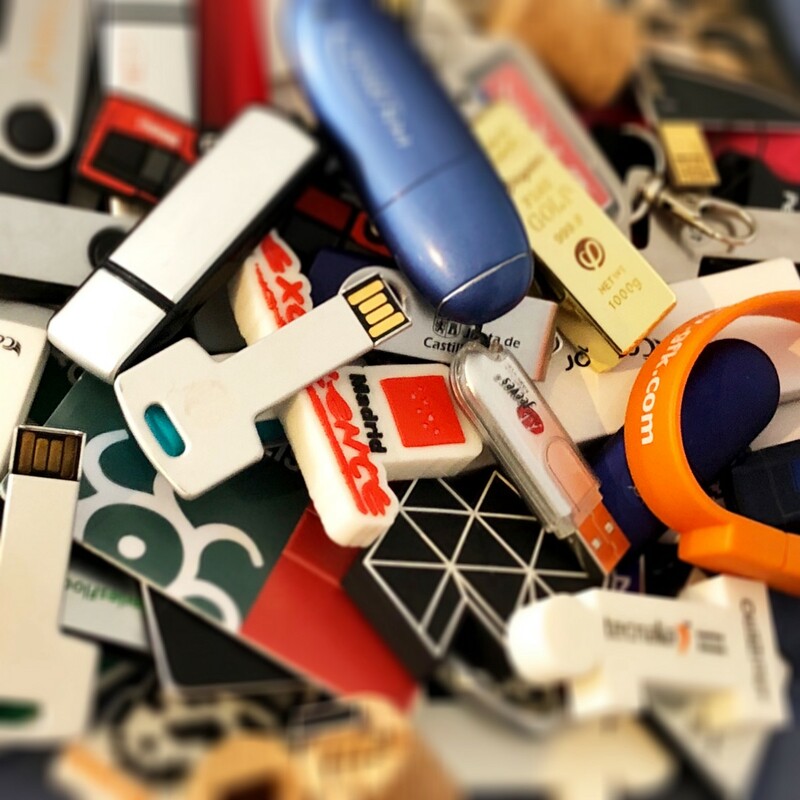 If you’re still using USBs frequently, maybe the time has come to think about switching to the cloud or some cheaper alternative more in line with the times.